Did you see my a.m.a.z.i.n.g video the other day? Okay, okay... I was ridiculous but I did tell you about a daily tracker that helps keep life simplified and organized. I also mentioned I'd a freebie for you all so here it is! 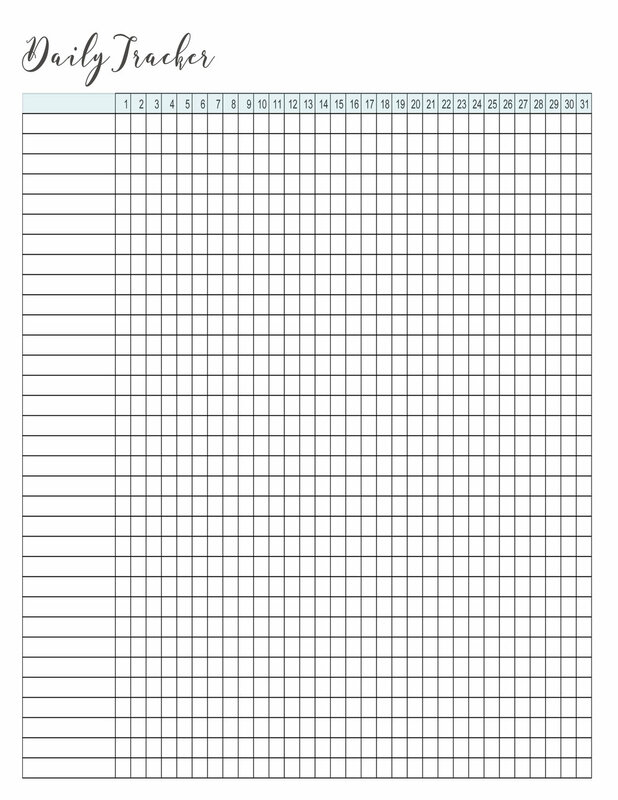 For those of you that do not want to hand-write it every month, just print this out. It's 8.5"x11" and you can choose to print it as blue, blush, or mint. I hope you find this as helpful as I have. I would love your feedback and to see how you utilize it in your planner, wall, etc. Use the hashtag #imperfectsimplicity to share!